My wife Sudarut and I are happily married now. This was only possible with your help and guidance. 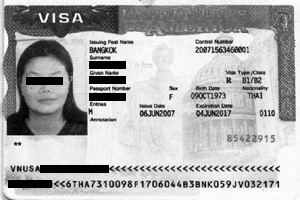 The process was smooth and my fiancee received her visa in less time than you projected! I obviously made the best choice with your firm. I hope others realize that these testimonials are from truly satisfied clients. Thanks again for everything you have done for us. Truly money well spent. "In all honesty you guys have exceeded my highest hopes and have made this a very smooth and relaxing visa process for both me and my wife"